Build a world of castle adventure! 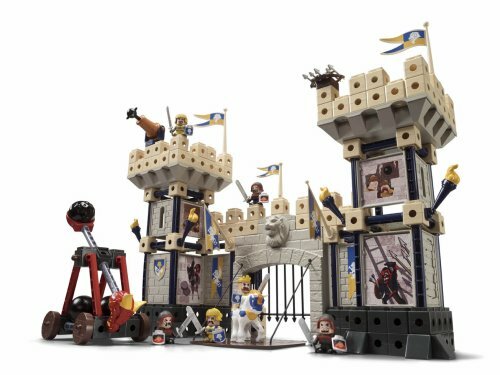 Easyclick bricks, sticks and panels make it easy to build and rebuild the Kings Castle so many ways, with doublesided snapin picture panels that let kids choose and change their adventures and a breakaway building panel for exciting battle action! Fire the cannon to defend the castle. Raise and lower the working drawbridge.